Professor Hartmut Esslinger is founder and co-CEO of frog design inc. 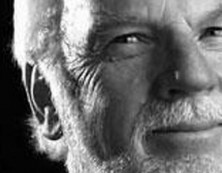 He studied Industrial Design at the College of DesignGermany and received a Doctor honoris causa in Fine Arts from Parson School of Design in New York. 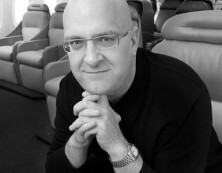 He helped to establish brand-building design excellence with global companies such as Sony, Louis Vuitton, Apple Computer, Lufthansa, Motorola, Microsoft, SAP and Disney. In 2000 Hartmut was chosen as one of forty-five Germans who shaped German Science and Culture in the 20th Century. 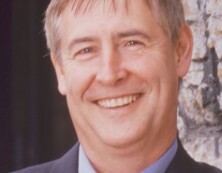 He is married to Patricia Roller, the other co-CEO of frog design inc. and has four children. His other passions are music, Porsches, football and gadgets. His mantra is Form follows Emotion. â€œForm follows Emotion“? 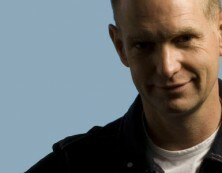 is Frogâ€™s philosophy on design. Could you explain why this is such an important philosophy for Frog? â€œ…it is the pervading law of all things organic and inorganic, of all things physical and metaphysical, of all things human and all things superhuman, of all true manifestations of the head, of the heart, of the soul, that life is recognizable in its expression, that form ever follows function. This is the law.“? â€¦I always felt that â€œform follows function”? was a simplistic and misunderstood reduction of Sullivanâ€™s wider description. I also believe that â€œfunction”? is a must, however humans always strived for a deeper meaning â€“ just look at ancient Greek objects or the Japanese House. Therefore I wanted to provoke a bit and coined the (also somewhat simplistic) slogan â€œform follows emotion”? â€“ which then inspired many people in a very surprising way (so I was lucky). Slogan aside, at frog we always include the positive progress of technology and the adoption to human dreams and needs into our work because a product experience is a also a personal experience. â€œAesthetics”? then communicate the true meaning and therefore must be honest, which includes neither copying others or ourselves. On Frogâ€™s website it states: Good design inspires. It evokes passionate brand loyalty. How would you describe the relationship between consumer emotions, brand sentiment (long term feelings consumers have for/with a brand) and product experience? 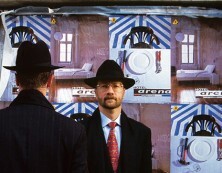 Design has a deeper effect than just superficial appeal: â€œDesign”? is our modern-day continuation of human-historic, metaphysical symbolism. When you create and communicate a â€œbranding symbol”? well enough and long enough with convincing ethics (quality and behaviour), people will recognize the visual symbol and subconsciously connect it with content (the brand promise and experience). Therefore â€œgood design”? 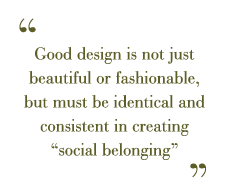 is not just beautiful or fashionable, but must be identical and consistent in creating â€œsocial belonging”?. You were the first designer who made Apple loved, also by other designers, through designing a fine, creative, beautiful and aesthetically appealing computer. After a small dip, Jonathan Ive did the same for Apple in the 90â€™s. Do you see any resemblance in design approach between you and Jonathan? After our work for SONY as of 1974 – which also made their products loved by millions worldwide – we were fortunate enough to convince Steve Jobs to give us the same opportunity with APPLE in 1982. Steve Jobs already loved German design as reflected in products by BRAUN and PORSCHE â€“ what we helped him achieve was to make APPLE the first High-Tech consumer brand that was â€œOriginal Global-American”? beyond specific products or software user interfaces: the West Coast Dream. We built on a fusion of Europeâ€™s and Japanâ€™s holistic culture as Leonardo, Michelangelo, and Hokusai had defined it. This may sound a bit strange in mostly culture-less Silicon Valley, but our work for Apple WAS about love and the passion to create the magical stuff people dream about. Obviously, Steve and Jonathan are still on this track and I love it â€“ also because I can experience their products with joy. Is there any particular factor in your design approach which you could relate to what people (e.g. 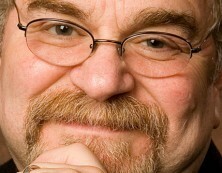 Dr. Donald Norman) nowadays refer to as â€œemotional design”? I know, like and respect Don. However, as we introduced â€œemotional design”? 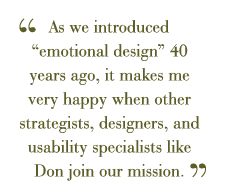 40 years ago, it makes me very happy when other strategists, designers, and usability specialists like Don join our mission. But to your question: when we have a â€œconcept”? and people smile, we take the next step. 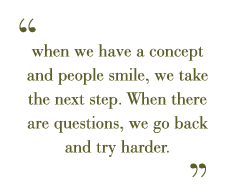 When there are questions, we go back and try harder. In an early press conference somewhere in the nineties, you opened with the following: Good afternoon Ladies and Gentlemen, The 70’s were the decade of marketing. The 80’s were the decade of finance. The 90’s will be the decade of design. We are now in 2006, how would you describe this decade? I guess I was bit wrong with the third one: design in the 90â€™s actually got consumed by the internet-IPO mania, and it turned out to be â€œthe decade of greed and cheat”? – and an entire generation of designers were lost. Frog survived and ultimately succeeded but we will never forget the dark times. For this decade, I hope that â€œDesign”? will advance, but so far it is â€œthe decade of outsourcing”?, and with a very fractured processes driven by naked economics, innovation and human-cultural design is very hard to achieve. Since some time now research is being done on emotions that are evoked by products (appearance, interaction, etc.). I know you have said that brand position is what counts, and brand goes back to the emotional content of products. What do you exactly refer to with the emotional content of products in this context? When you look at a â€œPORSCHE 911″?, the appearance communicates â€œsports car”? by itself â€“ one may think. In reality, the â€œPorsche-identical”? shape is a symbol for the overall experience of owning and driving a Porsche, which also is supported by a rich history and the economic success as the worldâ€™s most profitable car company. In brief, the emotional content is about the joy of winning. Do you believe designers can influence this emotional content of products directly by evoking targeted emotions through their design? As said before: â€œemotional content”?, no matter how well done, without the functional fulfilment of promises and expectations is a cheat. Closets full of cranky gadgets and the parking lots of rental car companies are proof of this. In Forbes of 11-12-1999 you already mentioned that personalization will become more and more important. Do you think we are getting closer to designing (fully) personalized products, especially now the focus is turning towards emotional design? Which designers or persons in general have inspired you in the past or keep on inspiring you? Too many to list, but Iâ€™ll try for the past: Albert Schweizer and Sven Hedin when I was a child, Mario Bellini, Joe Colombo, Ettore Sottsass, and Nuccio Bertone when I was a student. You came from Germany, with a very industrial focus in design, to the United States. Have you experienced any important differences? And how do you see the new design developments in Germany, which have changed a lot. I came from Europe via Japan to the United States and my focus was on culture. That we designers have to learn about technology, industry, and business is as necessary as a painter understanding colors and canvas. The fact that I was the first to combine High-Tech with design was an uphill battle back then â€“ but I succeeded. Now to your question: there were HUGE differences back then between design in Europe and the United States. As of 1971, I tried to win an American client, but was always told, that â€œAmerican consumers have no taste and really WANT their wood-grain and brass-chrome decoration”?. So it is ironic that my success with Sony proved these people wrong, especially here in the United States â€“ and they all went out of business or got bought by Japanese Companies and a company such as Philips. Ultimately it took me about 10 years to win the first major client with Steve Jobs and Apple. 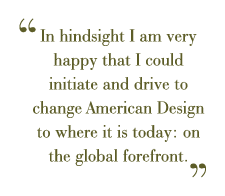 In hindsight I am very happy that, together with Bill Moggridge who came over from England, I could initiate and drive to change American Design to where it is today: on the global forefront. German Design however has great history as well as new talent, and the automotive industry in Germany demonstrates that globally. However when I am looking at our studios in Germany and Milan, the frogs there come from 12 countries, and it is similar with other good studios over there. What still sets â€œGerman Design”? apart is the thorough focus on a humanistic process and ecology. Now, with too many Americans driving antisocial gas-guzzlers and our nation suffering from a ruthless war for oil, I would like to see this German attitude in more places. Thank you very much for your time Hartmut! I doubt that Porsche [8.5 Billion USD Revenue] makes a profit any where near as big as Toyota [173 Billion USD Revenue]. Overall Great article, I’ve also taken Form Follows Function to include working for the human, as humans are emotional creatures. Don’t you think Hartmut refers to “most profitable” in a relative sense? Obviously Toyota has revenues and profits that are much higher in total, but the margin of profit (per car) is (perhaps) lower than that of Porsche? This article is encouraging! And I smiled along the lines. It’s hard to keep focused in this hip, bullshitting monkey business. 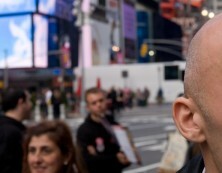 hmmm: in my mind this sounds a bit arrogant:…..However, as we introduced Ã¢Â€Âœemotional designÃ¢Â€? 40 years ago,……in my mind emotional design was always there – what he maybe introduced was the expression – no more, no less???? Bernhard, you speak from my heart! I love design, but I have no clue how to work as a designer without getting in touch with all these attitudes. I think hardmutt introduced design self promotion 40 years ago not emotional design. This interview has been of immense help . Working on scientific equipments design, I had been .. i must admit .. naive in my approach! Just a few hours ago I had the chance to listen to Mr. Hartmut Esslinger in Ingolstadt at the headquarter of Audi car company. Interesting what was published here, 3 years ago, before the big finance crisis. Today Mr. Esslinger stressed that 90% of his creative work in the initial phase of a project is to listen to the customer. Then he came up with an example: Sony wanted to be loved. 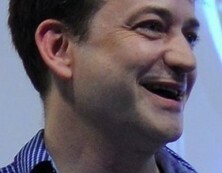 This illustrates his approach – first is the user, his feelings and culture. Then comes funktion, production and making money. 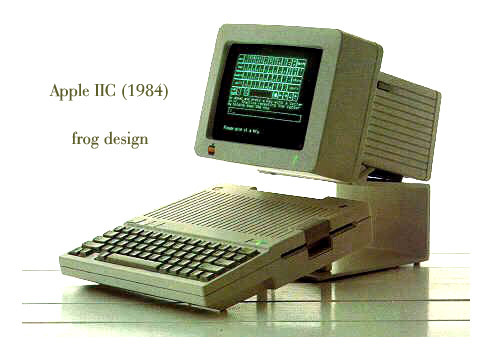 Apple IIC – Frog Design its to sweet (: .Its looks programing me.